Los Angeles, CA, June 13, 2014 – The OCA Alliance, a global consortium of companies developing the Open Control Architecture (OCA) as an open standard for controlling professional AV devices, is demonstrating its flexible, robust technology for the first time at this year’s InfoComm, booth C11547. The Alliance is exhibiting some of the first products implementing OCA from its member companies with technical experts present to explain the technology and the demonstration. 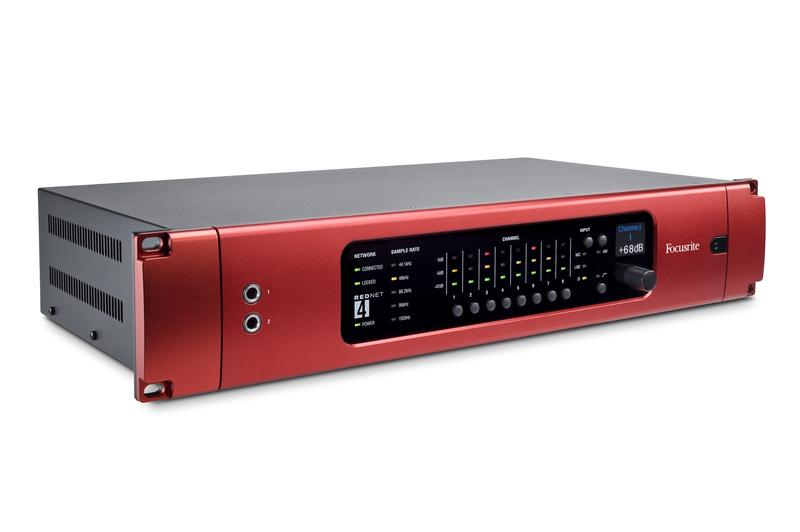 Notably, RedNet, Focusrite’s acclaimed range of Ethernet-networked studio interfaces based around the tried-and-tested Audinate Dante Ethernet audio networking system, will be featured as a key part of the demonstration. OCA defines a flexible and robust control standard that complements any media-transport standard. By adding standard system control to the media-network equation, OCA will allow devices from multiple manufacturers to share common controllers. This will allow seamless user experiences of multivendor systems. OCA Alliance is a non-profit corporation formed to secure the standardization of the Open Control Architecture (OCA) as a media networking system control standard for professional applications. The OCA Alliance’s purpose is to actively promote the adoption and standardization of Open Control Architecture (OCA) as a media networking system control standard through marketing, education and training and to develop future standards and other documents that augment, enhance or extend the primary OCA standard for the purposes of enabling and promoting increased interoperability and reliability for a variety of transport standards. The members of the Alliance are Attero Tech, Audinate, Bittner Audio, Bosch Communications Systems, d&b audiotechnik, Focusrite, HARMAN Professional Group, LOUD Technologies Inc., PreSonus, RCF, Salzbrenner Stagetec Mediagroup, TC Group, and Yamaha Commercial Audio. The Alliance will be supporting the AES X210 effort strongly, by encouraging industry participation in X210, and by supporting X210 meetings in various ways. For more information, please visit www.oca-alliance.com.